As you’re sitting in the living room wondering why the wi-fi from the bedroom isn’t getting all the way to you, you might be wondering exactly how far a wi-fi signal can travel. The answer, it turns out, is a little more complex than you’d think. Wi-Fi isn’t really so special; it’s just a digital transmission like TV, but at the 2.8GHz or 5GHz frequency, rather than the 400-950MHz frequencies of television. Higher frequencies travel better through the upper atmosphere, so it’s possible that with enough power you could reach a satellite in orbit with your wireless router, if the transmit power were high enough. There’s a problem with that though… there are only two frequency ranges and only a few channels on each range for everyone on the planet that uses Wi-Fi. If you turned up the power high enough to reach outer space, you’d knock out Wi-Fi for about, oh, an eighth of the planet. Their routers wouldn’t be able to compete with yours. To allow everyone to use Wi-Fi on a fairly limited number of frequencies, power is limited intentionally. 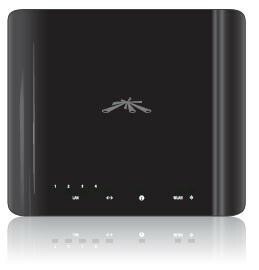 Most routers will reach about 100 feet in open space, less if there are walls in the way. Vendors like Ubiquiti use the highest possible power levels plus special antenna designs to get more range, and using some tricks it’s not hard to get Wi-Fi to go half a mile. Beyond that it gets a little dicey. If you need to get Wi-Fi to go further than that, setting up repeaters along the way is your best bet. Solid Signal can help you configure access points, repeaters, and point-to-point transmitters that can help you get Wi-Fi as far as five miles away, which is certainly more than most folks need for their homes.